Avocado Beef Stir Fry may become one of your regular meals after you try it. It is easy to prepare and still tastes good when you reheat it later. Once you are able to tolerate beef after bariatric surgery, then you have to try this out. 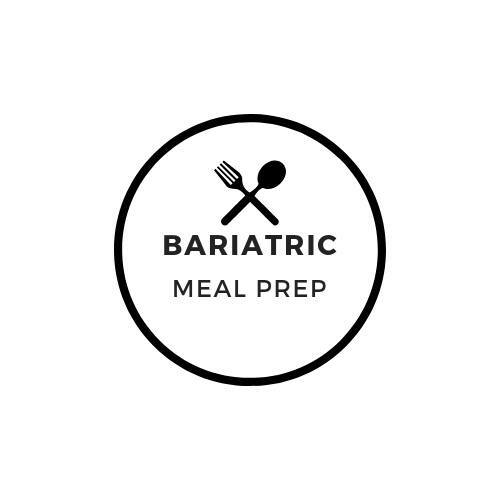 This is my first beef recipe I have listed on Bariatric Meal Prep because I have found many bariatric post-ops cannot tolerate beef for the first 6 months to a year after surgery. But I know many people enjoy beef (including myself) and I wanted to start giving you more options. This dish comes together in about 30 minutes. I included avocado as a healthy fat source because avocados are full of mono-saturated fats. Plus, including healthy fats in your meals tends to make you feel fuller longer and more satisfied. And they are full fiber which can be challenging to get in after bariatric surgery. 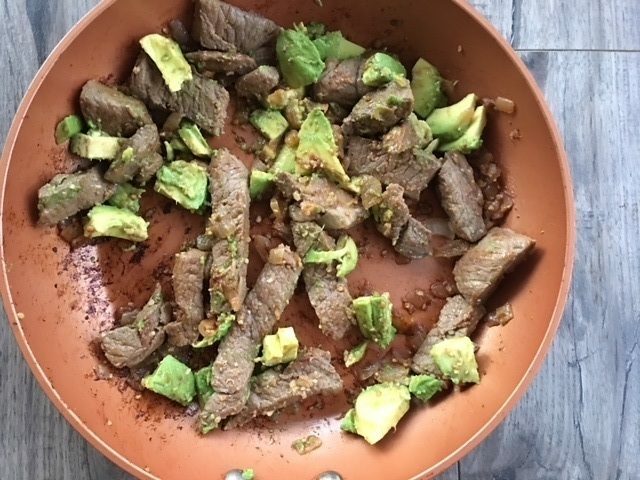 If you are preparing this Avocado Beef Stir Fry for later in the week, then do not add the avocado until you are ready to eat it. It will taste fresher. 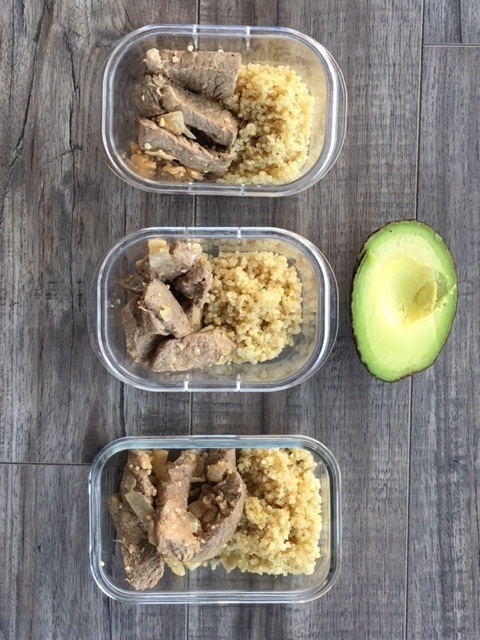 In the picture above I used a 1.3 cup container and filled it with 1/2 a cup of the Avocado Stir Fry Beef with three tablespoons of quinoa. Quinoa can a healthy grain (well..pseudo grain) to include after bariatric surgery. It is high in protein and fiber and has a low glycemic index profile. It can be a good substitute for brown rice if you have a hard time tolerating rice. 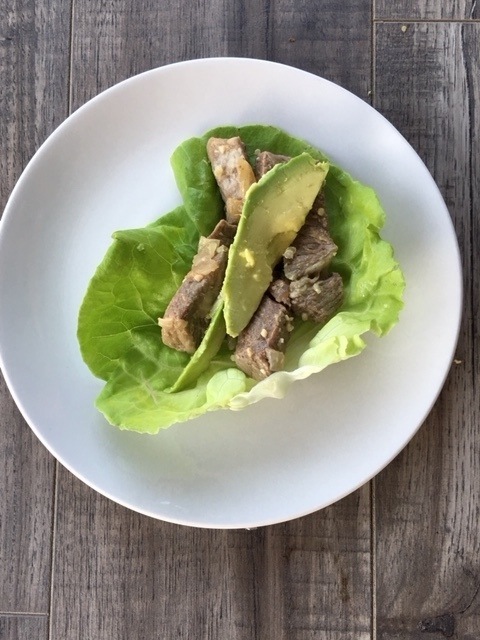 You could also make a lettuce wrap out of the Avocado Beef Stir Fry to add to your variety throughout the week. As a side note I would suggest sauteing zucchini or spinach on the side so you have a non-starchy vegetable with your meal. If you are allowed beef then serve as is. If not, then use chicken breasts as as substitute. Your tastes buds are going to love this Avocado Beef Stir Fry. It’s a savory and satisfying meal that you can prep ahead. Add oil to a large frying pan over medium heat. Saute garlic, ginger and onion for 2 to 3 minutes. Add sliced steak and stir until cooked, about 5 minutes. Add soy sauce, vinegar and salt and stir until well coated. If you are eating now, then toss in avocado. If you are meal prepping then place in meal prep container. When you reheat, add avocado afterwards. If you cannot tolerate beef or if your surgeons guidelines don’t allow beef yet, then use chicken. Consider adding spinach or zucchini. Consider serving with quinoa, and sauteed zucchini or spinach.